the state or condition of being a fan of someone or something. the fans of a particular person, team, fictional series, etc., regarded collectively as a community or subculture. Yes, today we're talking all about fandoms. Do you have one? Fandoms are fun! They give us something to collect, something to enjoy. And okay, okay... maybe a little something to obsess over. For us grownups, they allow us to keep that kid inside of us alive and well. There are many great fandoms out there, each with their own group of dedicated fans, but I don't know if any of them compare to the fans of Dr. Who! Whovians are a dedicated bunch, let me tell you! I honestly don't know if I've ever met anyone who just 'likes' Dr. Who. Your either not a fan, or you're obsessed...there doesn't seem to be much room for an in between here. Now, I must admit, this is a show I personally never could get into. My mom however? Completely different story! She LOVES it! She's old school and doesn't have a DVR, but you can believe that when Dr. Who comes on the TV, she has her timer set! There is truly a lot of dedication that goes into being a Dr. Who fan... so I suppose it would only make sense that there should be a Nerd Block JUST for the Whovians, right!? Attention, Whovians! Nerd Block and BBC are partnering to bring you the Doctor Who Official Block! Straight from Gallifrey, we're packing the mini-TARDIS full of wibbly wobbly merch, exclusive wearables, and collectible items just for you. 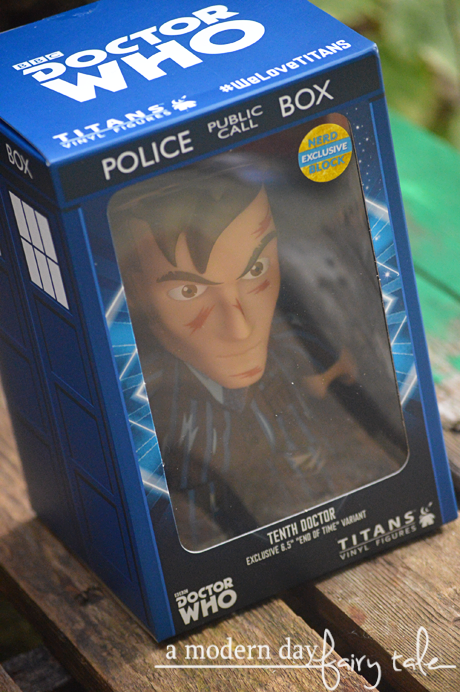 Experience the time-bending magic of getting officially licensed and exclusive items from your favorite Time Lords. How will we fit so much awesomeness into one Block? It's much bigger on the inside! Every other month, you'll get a brand new assortment of hand-curated timey-wimey exclusives you won't find anywhere else. All for just $49.99, including shipping! Sounds amazing, right? 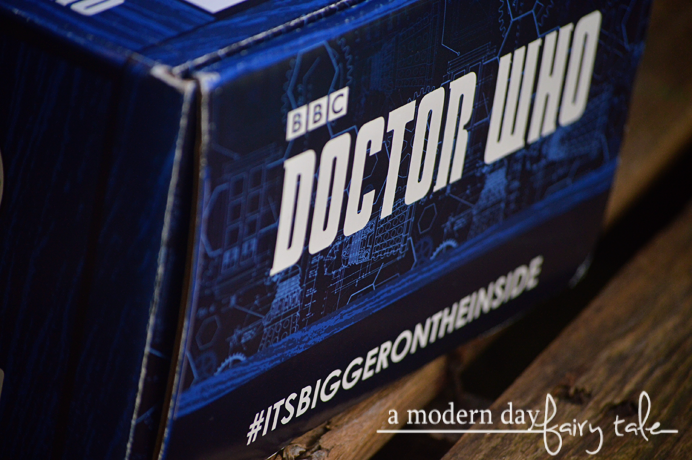 I had the opportunity to receive the very first Dr. Who Block... who wants a peek inside? When I showed my mom the contents of this first block, she was thrilled! 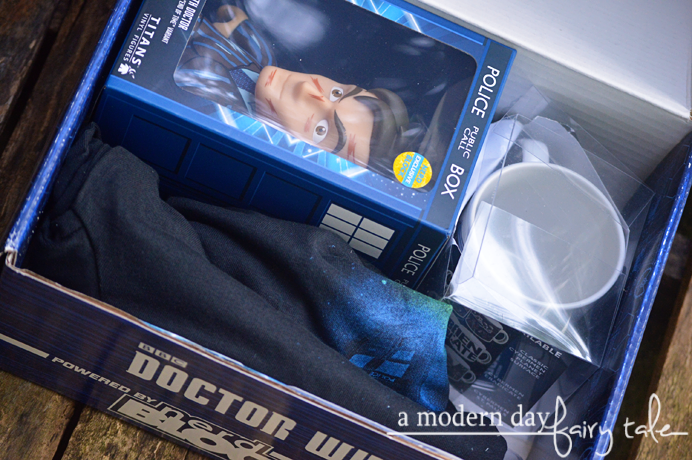 So much Dr. Who goodness packed into one box! Unlock other Nerd Blocks, this is only a bi-monthly block, but I'm pretty sure every fan would agree that it is well worth the wait. 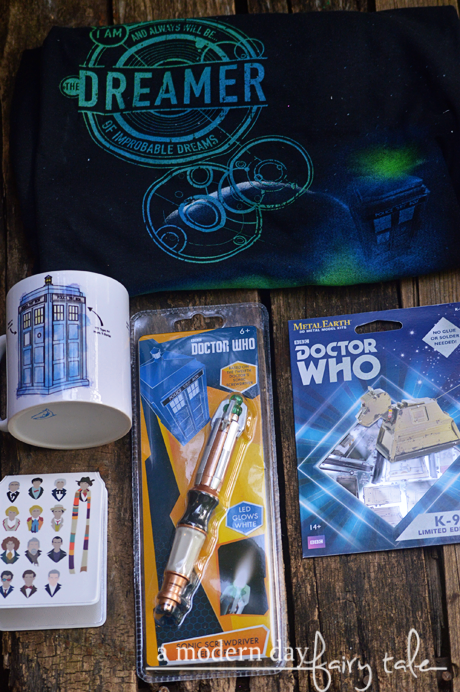 Every other month, a brand new box of mystery Dr. Who items (including a t-shirt) delivered right to your door!? It's a Whovians dream! Birthdays, holidays or just because, this is a Nerd Block you MUST see! Head on over to learn more and check it out now! I would love to win this awesome prize pack for my nieces because they are the huge fans for Dr. Who!! My husband loves Doctor Who and he would be so surprised! Thanks for the giveaway!